Head to art4berlin GALLERY and Sammlung Hoffmanfor some retail therapy. Get some cultural insight at Potsdamer Platz and East Side Gallery. 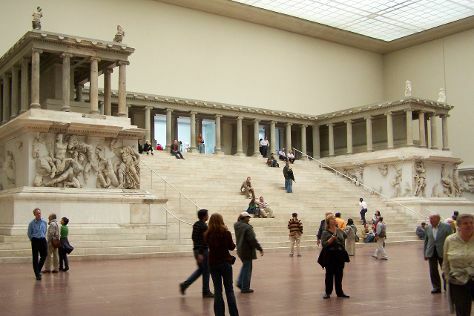 There's much more to do: admire the masterpieces at Pergamonmuseum, shop like a local with Koenig Galerie, view the masterpieces at Soviet Gallery & Cafe, and steep yourself in history at Memorial of the Berlin Wall. For ratings, where to stay, maps, and tourist information, go to the Berlin day trip planner. If you are flying in from Portugal, the closest major airports are Berlin-Tegel Airport and Berlin-Schönefeld Airport. Finish your sightseeing early on the 19th (Tue) so you can travel back home.